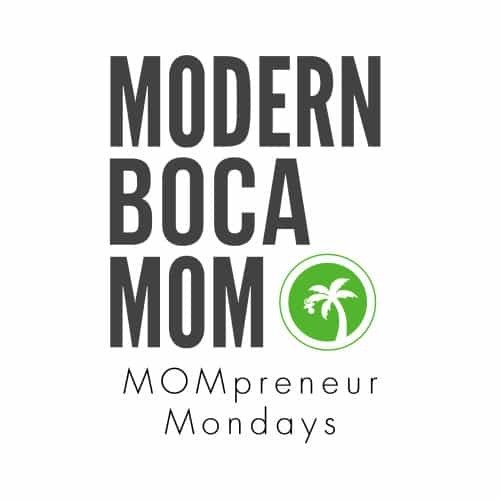 Today’s featured Modern Boca MOMpreneur is KC Charette, Delray Beach Clinical Psychologist at the Center for Treatment of Anxiety and Mood Disorders! My career in Psychology began in Boston, where I am from and where I worked as a Research Assistant at McLean Psychiatric Hospital. I earned my Bachelor’s Degree in Psychology at Tulane University in New Orleans. Following college, I relocated to Ft. Lauderdale to pursue my Masters and Doctoral Degree in Clinical Psychology from Nova Southeastern University. During graduate school, I fell in love with the rich diversity and tropical climate of South Florida, as well as with my husband, a Key West native. 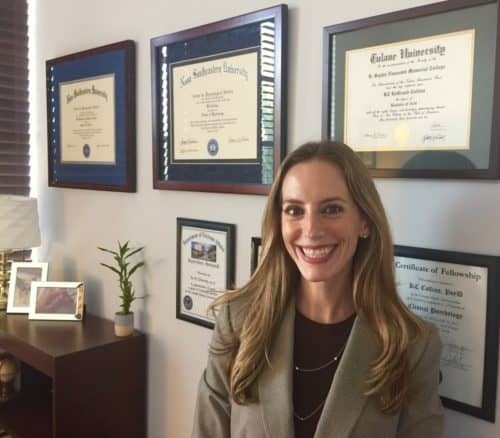 I am a licensed, Delray Beach Clinical Psychologist. My areas of focus are working with patients who have experienced a life change, trauma, loss and/or grief and are experiencing adjustment difficulties, relationship/marital concerns, anxiety, and/or depression. I provide treatment for a range of psychological, relational and health concerns in individual treatment. In addition, I provide couples therapy. I also specialize in family planning, prenatal and postpartum concerns. 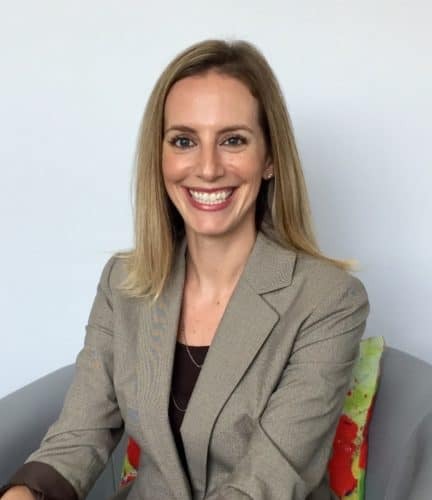 While having had our daughter in South Florida, I became very familiar with a range of local services such as mommy-and-me classes, lactation consultants, birth centers, infant-friendly exercise classes, online tools, pediatric practices, and OBGYN providers. As I learned more and more about these services and experienced many of them first-hand, I recognized a gap in available services. It was the need to provide care for expectant and new parents’ psychological health. This recognition led me to private practice, to start KC Charette, PsyD, PA and to join The Center for Treatment of Anxiety and Mood Disorders. 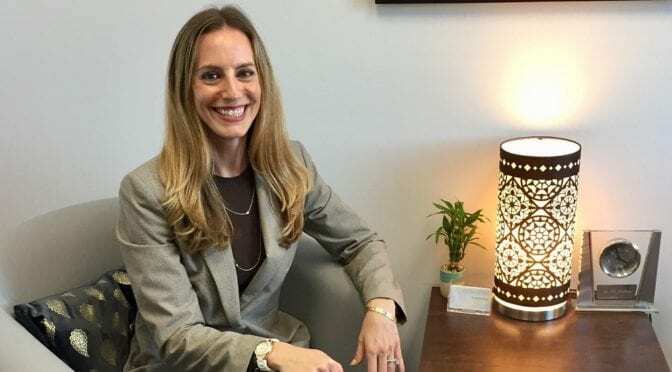 What inspired you to become a Delray Beach Clinical Psychologist? Prior to going into private practice, I was a Psychologist at the West Palm Beach VA. It was a tremendous professional honor to provide psychological services for Veterans. I gained experience in working alongside medical providers and consulting on a range psychological and health concerns. After four years of working at the VA, I became the Psychologist for the Women’s Clinic. I worked alongside the providers in the Women’s Clinic on OBGYN, family-planning and pregnancy-related concerns. This training and experience, compounded with becoming a mother myself, launched my passion for working with women and families struggling with adjusting. This included adjusting to changing family dynamics, prenatal and postpartum concerns and has led me to where I am today. What is truly unique about your services? One of the benefits of my practice being part of The Center for Treatment of Anxiety and Mood Disorders is that I work within the same office suite as multiple other professionals. These include psychiatrists, psychologists, post-doctoral residents and psychology interns. Many of my patients greatly value this as my colleagues and I can work closely together as a team. We are able to provide our patients with comprehensive and coordinated care, within the same office space. Training, experience and personal fit are key components of what I recommend a potential patient look for in a therapist. I completed my Doctoral Internship at the VA Medical Center in Gainesville, FL. Then, I was selected to complete an additional, year-long residency in anxiety disorders and trauma at the Gainesville VA. I received extensive training in utilizing evidenced-based interventions and holistic (wellness) approaches in my work with patients. The American Psychological Association (APA) is the highest level of accreditation for graduate training in psychology. I am proud to have attended an APA-accredited graduate school, internship and residency program. 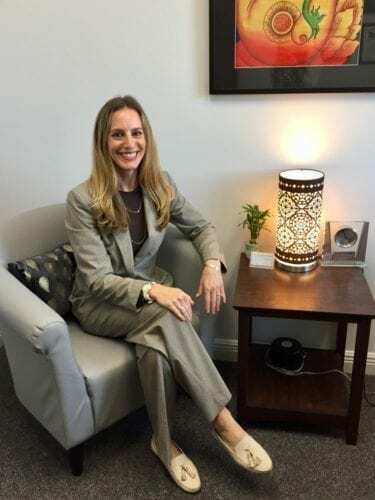 In addition to being in private practice, I am also affiliated with the Counseling and Psychological Services Center at Florida Atlantic University in Boca Raton. What exiting things are coming up with your business? I am in the process of beginning therapy groups related to pregnancy-related concerns at The Center for Treatment of Anxiety and Mood Disorders. To get more information on these groups and their upcoming start dates, please check out my Facebook page or The Center for Treatment of Anxiety and Mood Disorders website. My family and I truly appreciate the year-long ability to be outdoors in South Florida. One entire wall of my office is windows and I welcome the bright light that pours in from the Florida sunshine while I provide therapy! 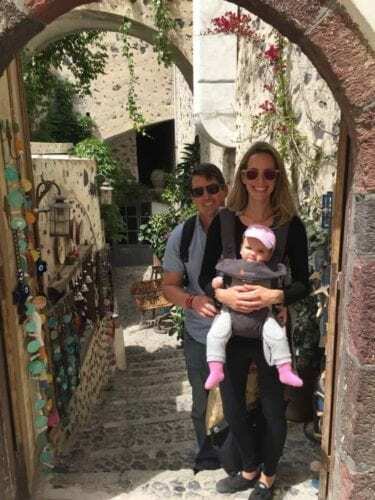 The diversity in South Florida creates a wealth of unique experiences and we are so grateful that our daughter is able to learn about so many different forms of art, culture and traditions.